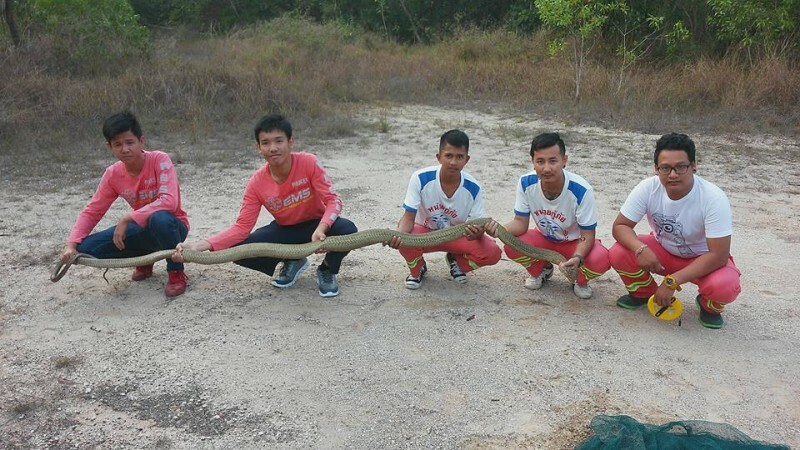 PHUKET: Rescue workers from the Ruamjai Kupai Foundation let loose six snakes in an isolated area in the hills of Chalong yesterday afternoon (April 5), including a five-metre long King Cobra. 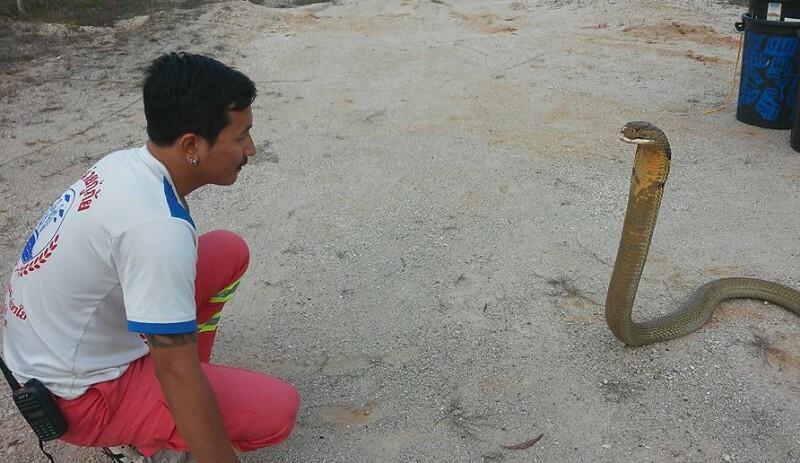 The snakes were those caught by rescue workers in Chalong, Rawai and Karon in recent weeks after being called by concerned residents to come and remove the venomous vipers, explained lead rescue worker Sayan Thoomphan. 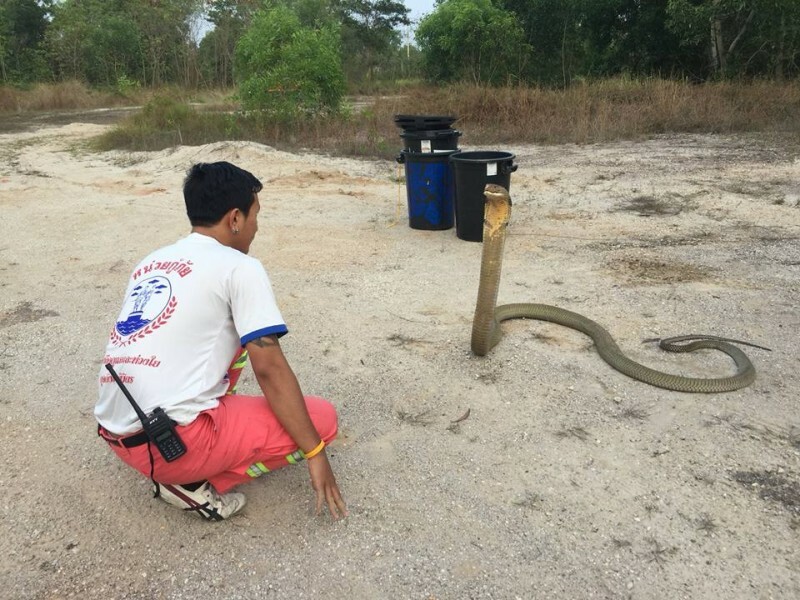 As is stand practice for the rescue workers, the snakes were cared for to ensure they were healthy before being released into the wild, always away into habitats where they can survive and away from humans – for the safety of the snakes and for people, Mr Sayan explained. 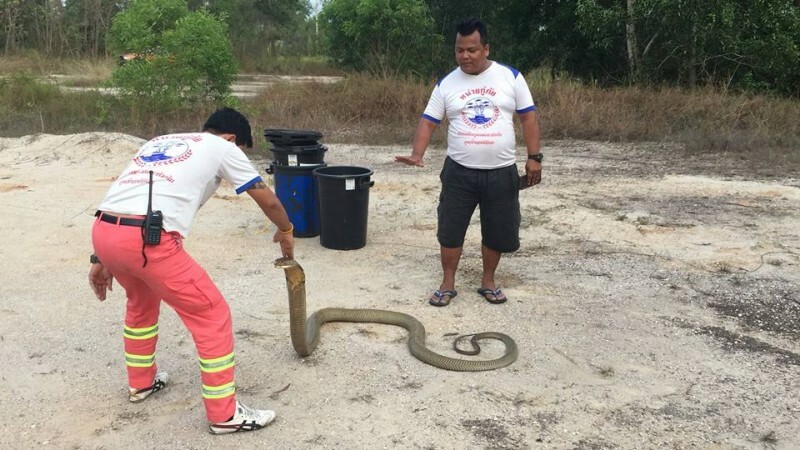 During their time together, the rescue workers also became well acquainted with the snakes, so much so that before setting the snakes free the rescue workers took the opportunity to practice same snake-catching skills. 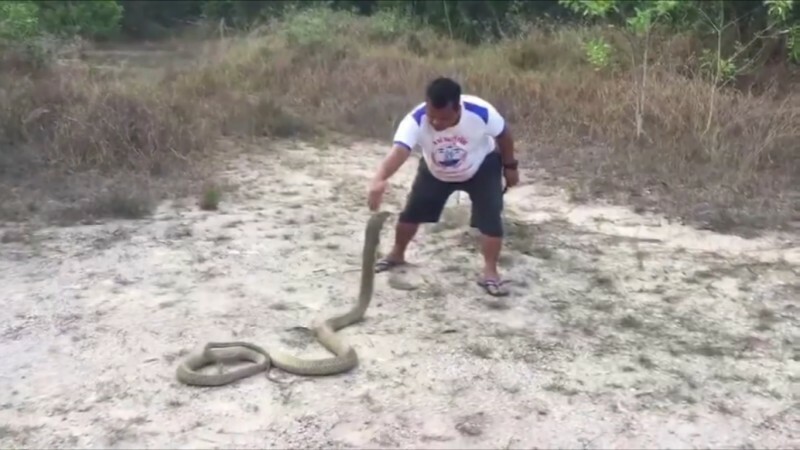 Luring them and catching them hand, with one rescue worker even patting the King Cobra on the head before kissing it on the head and setting it free. 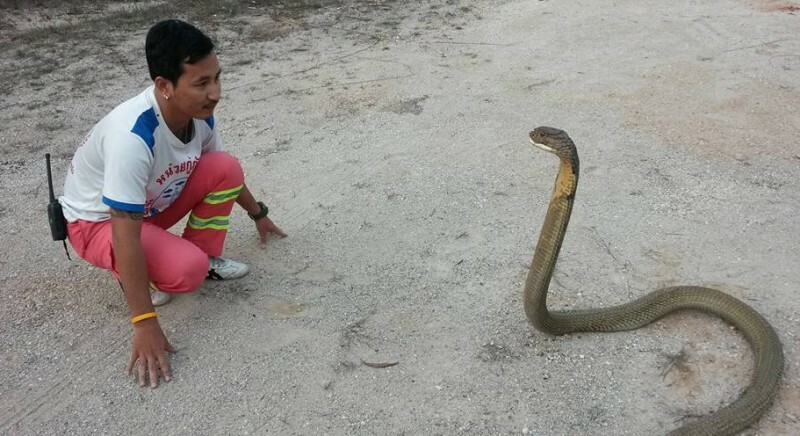 “Snakes are wild animals, but when they are released into the wild you can see their eyes shine. 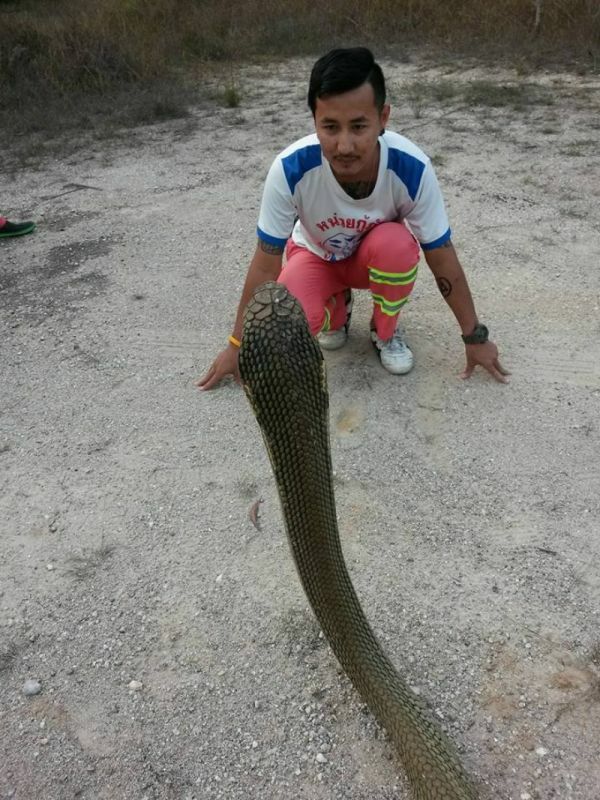 They became easy to catch and not fierce at all,” Mr Sayan said. Taking a chance. 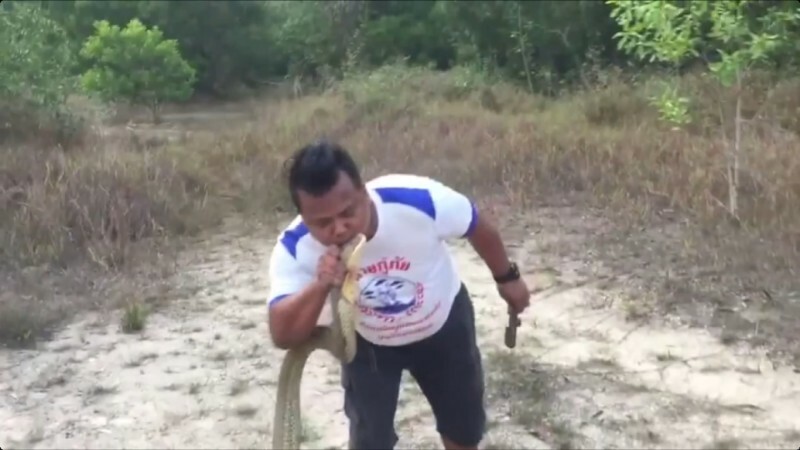 You don't know where the snakes been ! My Bit Bull cant wait!